Has a doctor or a healthcare professional told you that you or a parent needs “24 hour care”? This is like telling a person to bake a Black Forest cake without providing a recipe. I know of few individuals or family caregivers able to explain the definition of “24 hour care”. Yet industry professionals throw this term around like family caregivers are expected to know exactly what this means and make it happen. Let’s start with costs and the idea that, depending on the type of “24 hour care”, this recommendation may be out of reach for most individuals due to the reality of cost. On average, in 2013, the cost for assisted living care is $50,000 a year. Nursing home or long term care communities charge $72,000 per year. How many individuals or families have multiples of $50-72,000 sitting in bank or investment account waiting to be spent? Recommendations for 24 hour care are commonly made by healthcare professionals. For those working in the industry, it is easy to separate from the reality of a recommendation, the costs of a situation, the effects on a spouse or on family members. It is no different from an overweight doctor telling a patient to lose weight. Until it happens to a professional the idea of 24 hour care remains a recommendation given only to others rather than a recommendation that benefits from problem solving and planning. The reality of 24 hour care is very different in each situation. The question to ask when “24 hour care” is recommended is “for what purpose and for what length of time?” The answer to these questions depends on the event that resulted in a need for care, the possibility of returning to a prior state of health and the short and long term prognosis of the health diagnosis. Some individuals may require 24 hour care for a brief period of time. Others may benefit from ongoing care but may not need 24 hour care. Some may require 24 hour care, which then begs the question, specifically what type of care is needed? A care advocate or a care manager is able to provide support in evaluating 24 hour care decisions including recommending services and care communities. What will you do when you or a parent needs 24 hour care? Looking at the hard costs of this type of care is it affordable and for how long? 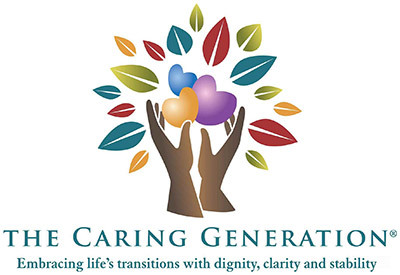 Will you or your family take care of your parent personally and financially? Will Medicaid be needed to provide care? When, not if, this is your reality, what will you do, how will you plan? Let me help you with an action to consider today. I assume you own a car. If you have a fairly good driving record, you may have only used your car insurance once or twice in your lifetime. Each time you pay your car insurance are you hoping that you will have to use it because of an accident you cause or an accident caused by someone else? Probably not, you carry the insurance in the event of an unexpected accident. If you had the ability to purchase insurance that you are reasonably likely to use that has the potential of providing security, peace of mind and choice for you when you become older, would you? This type of insurance is called long term care insurance. Remember the numbers above of $50-72,000 per year for care? 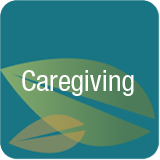 Long term care insurance policies pay for this type of care for you or for a parent. There is a catch. At the time of purchase you must be reasonably healthy and able to afford the annual premium. I purchased my policy over 10 years ago and my annual premium is $1500. For a parent who is healthy in their early 60’s the annual premium may be around $3500 a year. Compare a payment of $3500 a year to $50-72,000 a year. Do you see the benefit of having a back-up plan to pay for care? If you are an adult child and your parent is unable to pay the premium, and you have the resources, you might consider paying the premium. This will avoid discussions years later by parents wanting you to provide care for them when the care can be provided by professionals through the policy. What is the benefit of having long term care insurance? The benefit for adult children is freedom and peace of mind from major caregiving responsibility. The individual benefit is choice of where to spend the last years of your life and knowing you will receive the type of care appropriate for your needs. Having long term care insurance is especially important for women who outlive husbands and will have no one to care for them. The likelihood that you will need 24 hour care at one point in your lives is greater than the likelihood of having an automobile accident. The likelihood that you will need 24 hour care at the end of your life even greater. Why not take action today to ensure that you will receive the care you need. Need proof that this makes practical sense? Look at the situation you may be finding yourself in with the care of a parent who did not prepare financially. Do you want to find yourself or your children in the same situation wondering how to pay for care?